This guide covers reverse mortgages and how they may be used to help cover long-term care costs. After reading this guide, you will have a better understanding of how reverse mortgages work and whether or not this option may be right for you and your family. A reverse mortgage is a special type of home equity loan specifically designed for people aged 62 and older. Unlike traditional (fixed-rate) home equity loans and HELOCs, reverse mortgages do not require borrowers to make regular payments. Instead, the loan becomes due when the borrower passes away, sells the home, or permanently moves out. It is important to keep in mind, however, that since reverse mortgages do not require borrowers to make regular payments on the loan, their home equity is reduced in proportion to the amount of cash they receive. The money that is paid to a homeowner through a reverse mortgage is generally tax-free, and borrowers may choose between adjustable-rate reverse mortgages and fixed-rate reverse mortgages. This guide will focus primarily on HECM loans since they are the most common type of reverse mortgage. HECMs are insured by the U.S. government through the Federal Housing Administration (FHA)--an agency within the Department of Housing and Urban Development (HUD). In cases where the amount that is owed on a HECM reverse mortgage grows to exceed the value of the borrower’s home, the FHA will cover the majority or all of the loss. Unlike single-purpose reverse mortgages, the funds a borrower receives through a HECM loan may be used for any purpose including to help cover the cost of long-term care services and supports. HECM loan funds may also be used to cover expenses such as medical bills, home repairs, maintenance, renovations, and/or family expenses. Since HECM reverse mortgages are federally-insured, borrowers must meet certain eligibility requirements that apply across all states to qualify. The FHA also imposes a limit on the maximum property value lenders can use to calculate loan amounts. Even in cases where the borrower’s home is worth more than the maximum claim limit ($679,650 for 2018), lenders are required to use that amount and not the actual property value to determine the amount of the loan. Homeowners interested in taking out a HECM reverse mortgage may search for an FHA-approved lender. Unlike HECM loans, proprietary reverse mortgages do not offer a government guarantee and are backed only by the private companies that offer them. However, depending on the lender, proprietary reverse mortgages often have fewer restrictions and less stringent eligibility requirements than HECMs. Because there is no FHA-imposed maximum claim limit (as there is with HECM loans), proprietary reverse mortgages may make sense for individuals whose homes are worth more than $1 million. However, because there are no lender fee restrictions, proprietary reverse mortgage fees may be higher than with HECMs. Single-purpose reverse mortgages are generally less expensive than HECM reverse mortgages and proprietary reverse mortgages. They are offered by certain state and local governments as well as by some nonprofit organizations. The availability of single-purpose reverse mortgages is limited, and they are often only available to borrowers who have limited income and who may be unable to qualify for other types of reverse mortgages. While there are virtually no restrictions on how borrowers may use the funds received through a HECM loan or a proprietary reverse mortgage, the funds received through a single purpose reverse mortgage may only be used for a specific, lender-approved purpose. As noted above, the most common type of reverse mortgage is a HECM reverse mortgage. HECMs are federally-insured and are regulated by the FHA. In addition, the FHA requires borrowers to participate in a consumer information session presented by a HUD-approved housing counseling agency such as the American Association of Retired Persons (AARP). These sessions cover the financial implications of obtaining a HECM loan, the program’s eligibility requirements, repayment of the loan, and alternative options. Borrowers must complete this session and receive a counseling certificate of completion before applying for a HECM. Newly constructed properties are eligible for HECM only in cases where local authorities have issued a certificate of occupancy or its equivalent. In addition to the requirements discussed above, the FHA requires lenders to evaluate and verify homeowner income, assets, monthly living expenses, and credit history. In addition, they must ensure that real estate taxes and hazard and flood insurance premiums are paid in a timely fashion. Generally, homeowners are permitted to borrow up to 60% of their principal limit in the first year of the loan (referred to as the “first year draw limit”). However, if a homeowner owes more than 60% of their principal limit on an existing mortgage and other required payments, they may only take out enough money to pay off their existing mortgage and additional cash of up to 10% of their principal limit. As previously discussed, HECM reverse mortgages may have either adjustable or fixed interest rates which affect how the money may be received by the borrower. Monthly “tenure” payment - Allows borrowers to receive regular monthly payments for as long as they live in the home as a principal residence. Monthly “term” payment - This option is similar to a tenure payment but the payments are only made for a fixed number of months. Combination of a line of credit and monthly tenure payments. Combination of a line of credit and monthly term payments for a fixed number of months. Borrowers who wish to change their payment plans may be able to do so for a fee. Fixed-rate HECM loans differ from adjustable-rate HECM loans in that there is only one payment option available. Borrowers who take out a fixed-rate HECM loan must receive the money as a one-time lump-sum payment. It is important to note, however, that the lump-sum payment is only equal to the first-year draw limit; with a fixed-rate HECM, the rest of the loan amount is forfeited. For this reason, borrowers receive less money from fixed-rate HECMs than they would from adjustable-rate HECMs. As noted above, single-purpose reverse mortgages may only be used for limited, lender-determined purposes while HECMs and the majority of proprietary reverse mortgages may be used to cover any expenses the borrower chooses. However, since HECMs are backed by the federal government through the FHA which requires borrowers to remain living in their home as their primary residence, there may be certain types of long-term care that are more easily paid for using the funds obtained through a reverse mortgage. Certain short-term care such as rehabilitation after surgery, an accident, hospitalizations, and/or other medical care services. It is important to note that payment for a long-term care residence may only be funded using reverse mortgage payments under certain circumstances. According to survey data compiled by AARP, approximately 90% of American seniors would prefer to remain in their current home as they age. This process is often referred to as “aging in place.” In-home long-term care allows elderly and disabled individuals to receive the care and support services they require in the comfort and familiarity of their own home. In-home custodial care may incorporate and combine professional care services and the help of a spouse, adult child, or another caregiver. This may be an ideal option for seniors looking to fund long-term care costs through reverse mortgage payments since HECM eligibility requirements state that borrowers must remain living in their home. Adult day care is another type of long-term care that allows seniors to remain living in their current home and community as they age. Adult day care centers differ from senior centers, which provide a variety of recreational, social, and educational services to healthy seniors. Adult day care services are designed to accommodate the needs of elderly and disabled individuals who have physical or cognitive limitations. Although the services offered through each of these categories of care may differ, some services may be provided across care types. For example, while social and recreational activities are commonly provided at all adult day cares, social and recreational activities offered through Alzheimer’s and dementia day care are specifically tailored to those suffering from memory loss or other cognitive impairments. Like home care, adult day care may be a good option for elderly individuals who wish to pay some or all of their long-term care costs with the money they receive from reverse mortgage payments. Adult day care provides care and support services to individuals who require long-term care during certain hours of the day while they continue to live at home. Although most seniors would prefer to remain in their home as they age, some individuals may require round-the-clock assistance, supervision, or services above and beyond what can be provided at home or at an adult day care center. Because the FHA requires that borrowers continue to live in their home as their primary residence in order to qualify for a HECM, it may be difficult to qualify for a HECM loan to pay for care in a residential long-term care facility. However, elderly individuals may still qualify for a HECM loan to pay for residential long-term care under certain circumstances as noted earlier. For example, if a spouse, relative, or any other person signs as a co-borrower on a reverse mortgage, that individual may remain living in the home, even when a borrower moves into a long-term care facility such as an assisted living facility or nursing home. It is important to note, however, that if the co-borrower leaves the home (i.e. does not live in the home for the majority of the year or leaves the home for more than 12 months), the HECM loan must be repaid. These and other forms of shorter-term medical and/or custodial care, support, and assistance may be paid for using the money an individual receives from a reverse mortgage. 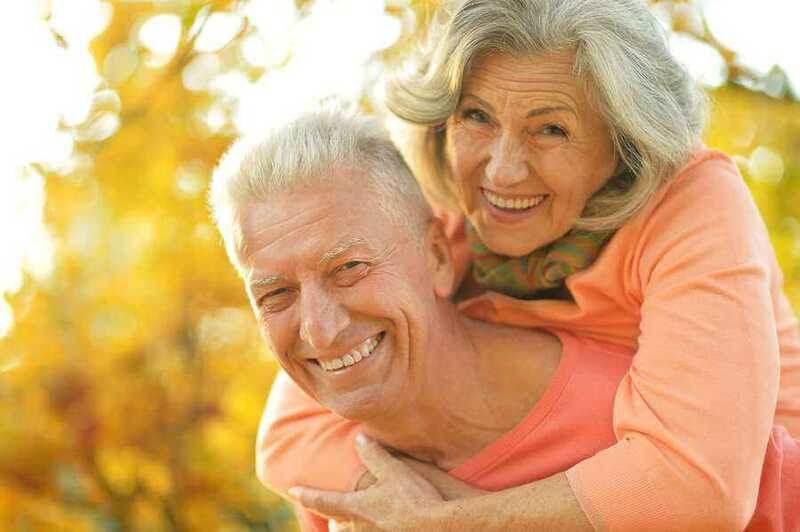 As is the case with any expense paid using borrowed funds, is important to consider the benefits and drawbacks of using funds obtained through a reverse mortgage to pay for any form of short-term care and be cautious about spending. Over 4.6 million seniors in the U.S. are covered by Medicaid, a social welfare program designed to help low-income seniors and other qualifying individuals pay for health and custodial care services. Many people incorrectly assume that Medicaid and Medicare cover the same basic services. However, this is not the case. While Medicare covers some services that may also be required by those who also need long-term care, such as hospital care and skilled nursing care, long-term custodial and personal care is not covered under Medicare. Medicaid provides coverage for long-term care services required by seniors who qualify as well as disabled and chronically ill non-seniors. Medicaid is funded jointly by the federal government and the states but is administered separately by each state. However, in order to receive federal funding, the states are required to provide certain mandatory benefits. States may also choose to cover additional benefits. Medicaid is designed to provide medical and/or long-term care coverage for individuals whose funds and assets are limited or have been exhausted. Therefore, each state has certain financial eligibility requirements that beneficiaries must meet. In certain situations, a reverse mortgage may affect an individual’s ability to qualify for Medicaid coverage. The way that an individual's reverse mortgage payments are structured determines whether or not they will qualify for Medicaid. When Medicaid eligibility is determined, an individual’s home equity is exempt (up to a limit) when their net assets are assessed. However, cash is not exempt. If an individual has deposited a lump sum payment from a reverse mortgage in a bank account, they may become ineligible for Medicaid coverage if they fail to meet the asset limits. Medicaid requires individuals whose assets exceed the designated asset limit to “spend down” their available funds. Once these assets have been exhausted, the senior may then qualify for coverage. Individuals who receive money from a reverse mortgage in monthly installments may not have this difficulty with Medicaid eligibility, as long as they use each payment to cover care costs in the same month they receive the funds and avoid a build-up of savings which may affect their eligibility. It is strongly recommended that an individual ensure they fully understand the eligibility requirements of Medicaid and keep these requirements in mind prior to making any financial decisions if they think they may need Medicaid assistance at some point. Since Medicaid is administered by the states, it is also important for seniors to understand the particular requirements and services covered by Medicaid in their state of residence. Other than a reverse mortgage, what are some other ways I can use my home equity to cover my long-term care costs? You can learn more about different home equity financing options here. What are the risks and drawbacks associated with taking out a reverse mortgage? One of the main drawbacks of taking out a reverse mortgage, especially compared to other home equity loan options, is that your home equity is substantially reduced. Because you are not required to make regular payments, and the balance of the loan does not become due until you sell the home, permanently move out, or pass away, the loan is often paid off using proceeds from the sale of the home. Another related concern is that if you have a spouse, partner, adult child, or other family member living in the home that is not a co-borrower on the loan, they may be left to deal with the loan becoming due when you move out or pass away. It is a good idea to discuss this with them and develop a plan for how the loan will be paid off (through the sale of the home, etc.) prior to taking out a reverse mortgage. In addition, according to the Federal Bureau of Investigation (FBI), there is a growing concern of seniors being defrauded by reverse mortgage scammers. It is important to thoroughly research and investigate any lender you consider borrowing from. In addition, it may be a good idea to use the search tool on the HUD website to find an FHA-approved HECM lender or to verify that a lender you are considering is legitimate. How do I know what type of reverse mortgage I should choose? The value of your home and whether it exceeds the maximum claim limit imposed by the FHA on HECM lenders ($679,650 for 2018). Whether or not you qualify for a HECM or proprietary reverse mortgage. In some cases, certain homeowners only qualify for a single purpose reverse mortgage. How you plan to use the funds. Whether or not you are currently receiving Medicaid benefits or anticipate needing them in the future. Receiving a reverse mortgage payment as a lump-sum is more likely to impact your Medicaid eligibility. HECM reverse mortgages are typically the best option for seniors whose homes are valued at less than $1 million while those with homes valued at more than $1 million may want to consider a proprietary reverse mortgage. What if I don’t own a home? What financing options are there besides home equity? Seniors who do not own a home--or those who do not qualify for a reverse mortgage because they have not paid down a significant amount on their mortgage--may find that home equity is not a financing option for them. In addition, some seniors choose not to use reverse mortgages or other forms of home equity to fund their long-term care for various reasons. Other public welfare programs, such as the Programs of All-Inclusive Care for the Elderly (PACE), which is available to qualifying Medicare and/or Medicaid recipients. Although some people may only use one form of financing to pay for long-term care, many people use a combination of the above resources, many of which may also be used in conjunction with reverse mortgages and other forms of home equity financing. To learn more about the various financing options available to seniors, please see our comprehensive overview of how to pay for long-term care.